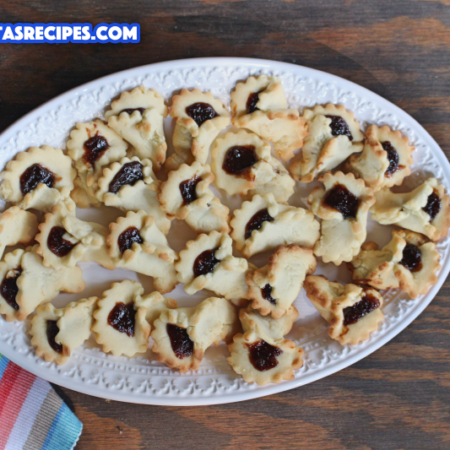 This is a recipe for delicious cookies with jam that taste perfect and are very rejuvenating. They also only take around 25 minutes to make. 1.) Remove your yolks from your eggs and discard or eat the egg whites. Also crush your egg yolks using a fork. 2.) 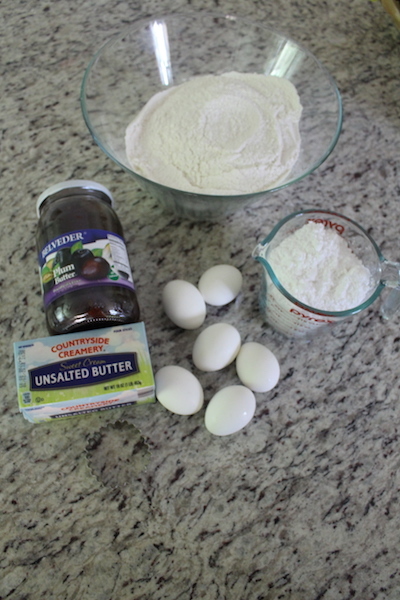 In a large bowl add your butter, crushed egg yolks, powdered sugar and mix together well. Continuing add your flour and mix together until you have a dough. 3.) Then place your dough on a lightly floured surface and kneed until it is smooth and elastic. 4.) 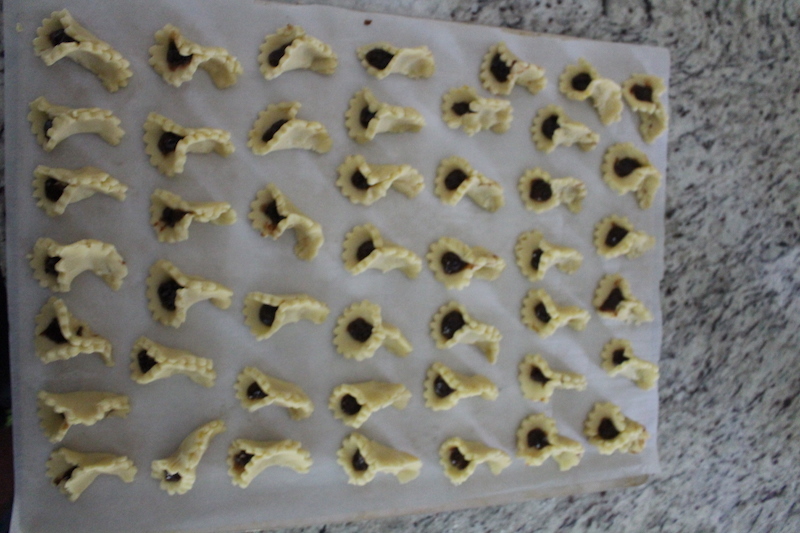 Roll out your dough and using small cookie cutter forms cut out as much cookies as you can. Take your left over dough and roll it out again and cut out more cookies until there is no more dough. 5.) In a small bowl add your jam and cornstarch. 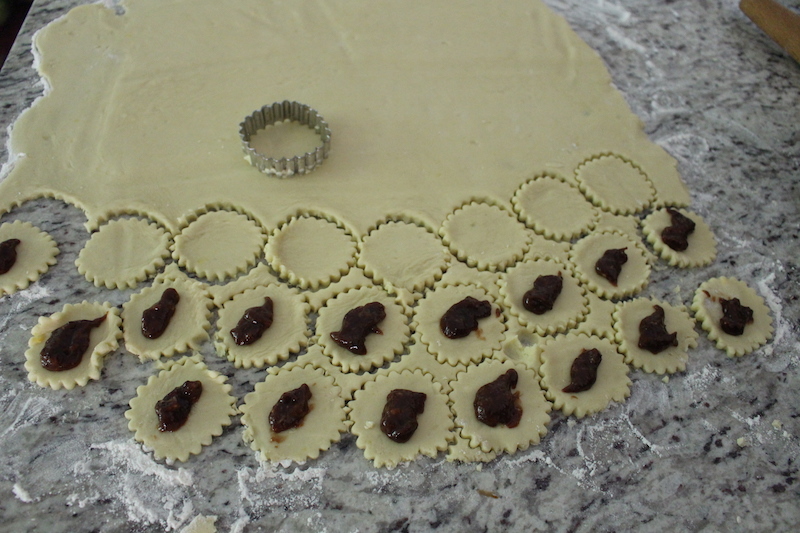 Mix together well and add about 1/2 a teaspoon of jam to each cookie. 6.) Using your finger Pinch together the sides of each cookie. Repeat the process until all of your cookies are complete. 7.) Place all of your cookies on a baking sheet with parchment paper and bake for 12 minutes on 350ºF. 8.) Pull out your cookies and let them cool on a cooling rack. Continuing place your cookies on a serving dish and enjoy! Remove your yolks from your eggs and discard or eat the egg whites. Also crush your egg yolks using a fork. In a large bowl add your butter, crushed egg yolks, powdered sugar and mix together well. 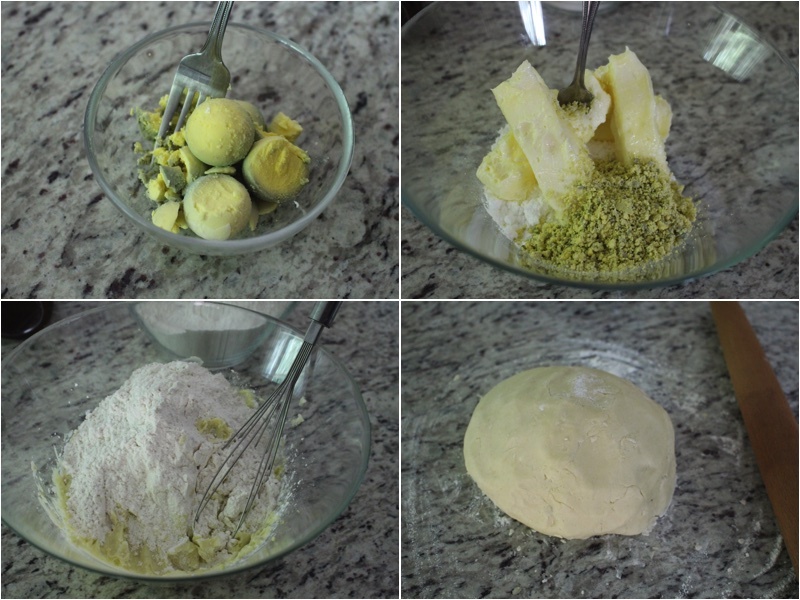 Continuing add your flour and mix together until you have a dough. Then place your dough on a lightly floured surface and kneed until it is smooth and elastic. 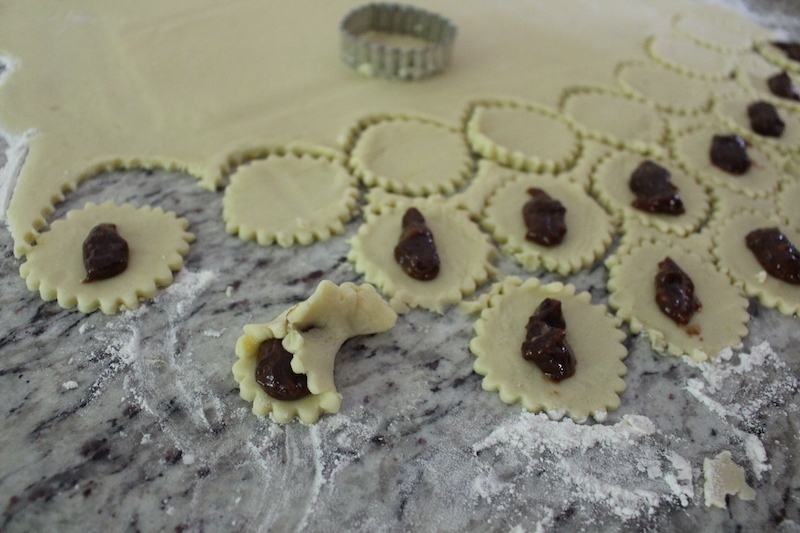 Roll out your dough and using small cookie cutter forms cut out as much cookies as you can. Take your left over dough and roll it out again and cut out more cookies until there is no more dough. In a small bowl add your jam and cornstarch. 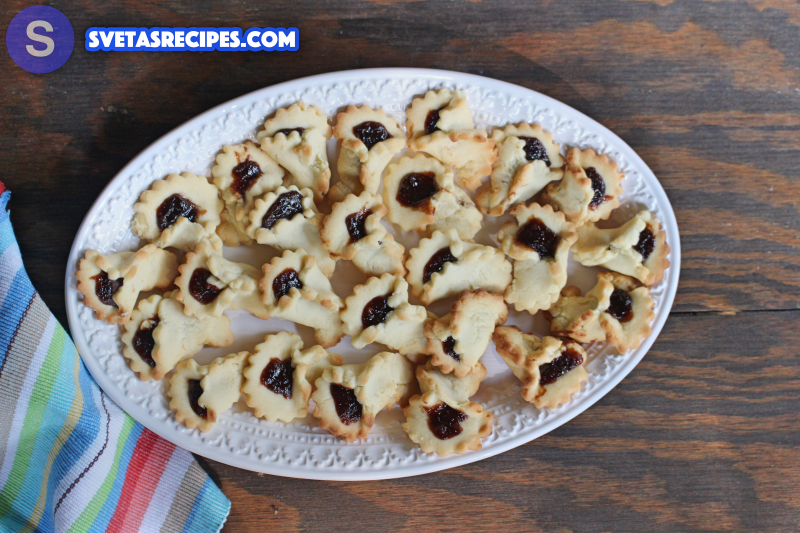 Mix together well and add about ½ a teaspoon of jam to each cookie. Using your finger Pinch together the sides of each cookie. Repeat the process until all of your cookies are complete. Place all of your cookies on a baking sheet with parchment paper and bake for 12 minutes on 350ºF. Pull out your cookies and let them cool on a cooling rack. Continuing place your cookies on a serving dish and enjoy!